The new year is nearly upon us, and that means it's a great time to learn something new. With this recipe, you will not only learn how to make an emulsion (everyone should know how), you will learn how to make an emulsion using the liquid from a can of beans (also know as aquafaba). Trust me, making an emulsion is fun. (Really.) Maybe you got a new immersion blender from Santa. If so, lucky you, you are ready to go! The method to make aquafaba mayonnaise is exactly the same as with flaxseed mayonnaise, but considerably more oil is needed when using aquafaba – about two times as with flaxseed mayonnaise. (In flaxseed mayonnaise I used two flaxseed eggs to ¾ cup oil – here I am using the equivalent of one “aquafaba egg.” And aquafaba has a citrusy flavor as is – hence just a little bit of acid is needed. Aquafaba mayo is a bit more akin to a milk mayonnaise than it is to flaxseed or traditional egg mayonnaise – it has a smoother, lighter, almost frothy consistency. I expect it will work quite well in salad dressings (it must be time for me to create something new). Don't forget to check out all of the cookies and make your favorite for Santa! I don’t often post restaurant reviews. I am in the habit of dining out at the same places over and over again (as many of you do). But I have wanted to dine at Del Posto in New York City since I heard them speak at The Allergy Eats Conference for Restaurateurs last fall. It sounded like they were state of the art in dealing with food allergies and I wanted to see for myself. I finally got my chance last weekend. I’d like to say that my husband surprised me with a day in the city, but the truth is that I made all the plans and informed him of the plans. When I made the reservations at Del Posto I notified them about my allergies (gluten and soy protein) and they seemed quite confident they could handle them. First, I must make some observations about Del Posto that have nothing to do with food allergies. This is the type of restaurant where they bring you a little stool for your handbag (seriously, the bag I was schlepping around all day would have been fine on the spotless carpeted floor). It’s the type of restaurant where they bring you at least two utensils for each meal and take them away whether they have been used or not. It’s the type of restaurant where your napkin gets folded within 30 seconds of you leaving the table; they pull your chair out for you as you get up to visit the restroom (where did he come from? ); they plate the sauces (always arriving in adorable containers) at your table; a bottle never sits on the table (and a glass is never empty); and they give you a clean napkin for dessert. It’s also the type of restaurant where a half-bottle of wine costs more than a case of what I usually drink. This is a special occasion restaurant. (In addition to allergies, they ask about special occasions when the reservation is made.) Most of the tables near us (and none too near) were occupied by couples, a few with parties of four (two couples). I envision that many a marriage proposal has taken place at Del Posto – it is the type of restaurant where you might get down on one knee. Now, the food. The first question our server (we actually had about 12 servers, but this one took our order) asked was if we had any allergies or restrictions. When I explained mine, he assured me that there would be no problem. I asked which dishes I might consider and he said, “All of them. We will adapt as needed.” I had perused the menu on the train, and had my eye on the fried calamari appetizer. When I asked about it he said they did it with a rice batter in a dedicated rice oil fryer. Nice! The primary menu options are a 5-course or an 8-course meal. We chose the 5-course. Each of us could pick an appetizer, we could share two pasta dishes, and we each picked our own “secondi.” I thought that meant that my gluten-eating husband would have to share gluten-free pasta dishes with me, but no! Even though we had the same dish, they made one version with gluten-free pasta for me, and one with wheat pasta for my husband. And they did so graciously. My one regret is that I wasn’t able to try the gluten-free focaccia (due to soy protein), but there was more than enough food! We were served a plate of amuse-bouche (this is the type of restaurant where they serve an appetizer before the appetizer) – not one, but three, including this adorable avocado cucumber sandwich. All were safe without the need to adapt. Without a doubt, my favorite dish was the fried calamari and zucchini. Baby zucchini was sliced on the horizontal and the rice batter and oil crisped everything up beautifully! When I asked more about the dish, I learned that they only make a gluten-free version – everyone who orders it gets the rice batter and oil. In fact, a key to Del Posto being able to successfully serve guests with food allergies is by designing the dishes with as few top allergens as possible. Almost anyone (except those with seafood allergies) would be able to have the calamari. My pasta dishes each came with the same spiral rice pasta, whereas my husband was able to try some more exotic shapes. The lobster (my main entrée) was also perfectly prepared, with no need to adapt to remove gluten. Dessert was the only time where I wasn’t able to choose anything I wanted, but there were at least three gluten-free options. And, this is the type of restaurant where they serve you dessert after dessert, and give you a box of chocolates to take home. Again, this is a restaurant that you save up to visit, but do go! While you are here, check out the cookie swap and giveaway in progress. Cookies, cookies, cookies! 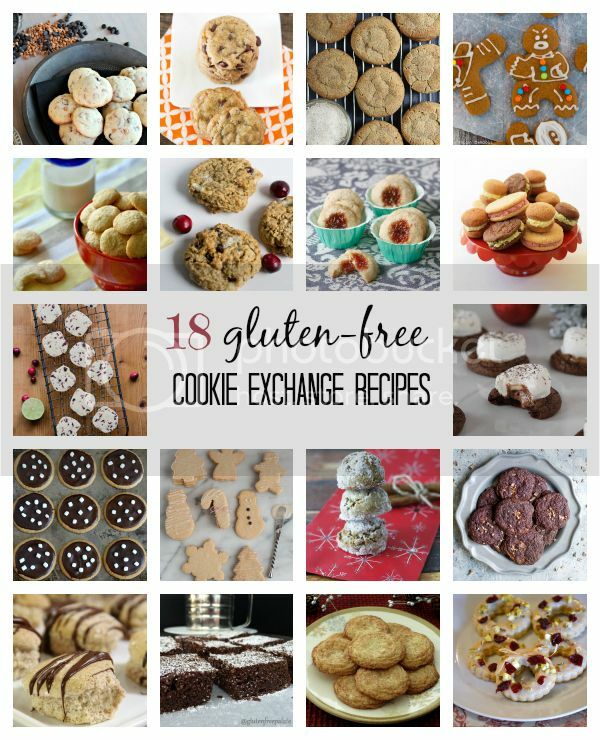 It's time for the Gluten-Free Cookie Exchange, hosted by Michelle Palin of My Gluten-Free Kitchen. 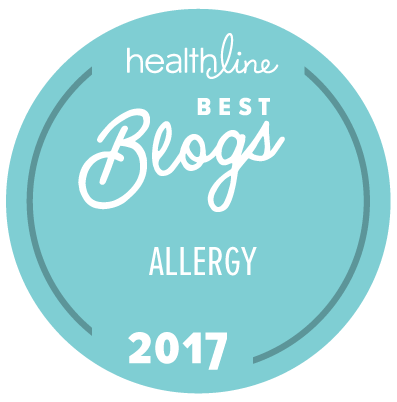 Eighteen gluten-free bloggers are sharing their favorite cookie recipes, and each site is also giving away prizes. What could be better? Make some cookies, share them at your own cookie swap (or save them for yourself and Santa) and enter to win great prizes! This recipe from The Allergy-Free Pantry is one of my favorites, and definitely worth sharing. 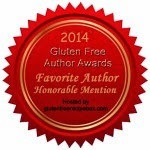 And these cookies are not just gluten-free, they are also top-8 allergen-free! No dairy, eggs, nuts, or soy! 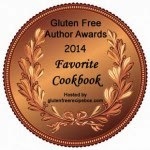 One lucky reader will win signed copies of Learning to Bake Allergen-Free and The Allergy-Free Pantry . Also included in the prize package will be the most needed kitchen tool when baking gluten-free - a digital kitchen scale for weighing gluten-free flours! If you already own my cookbooks, you may choose to have them sent to someone else (or keep the signed versions and give your original copies away).